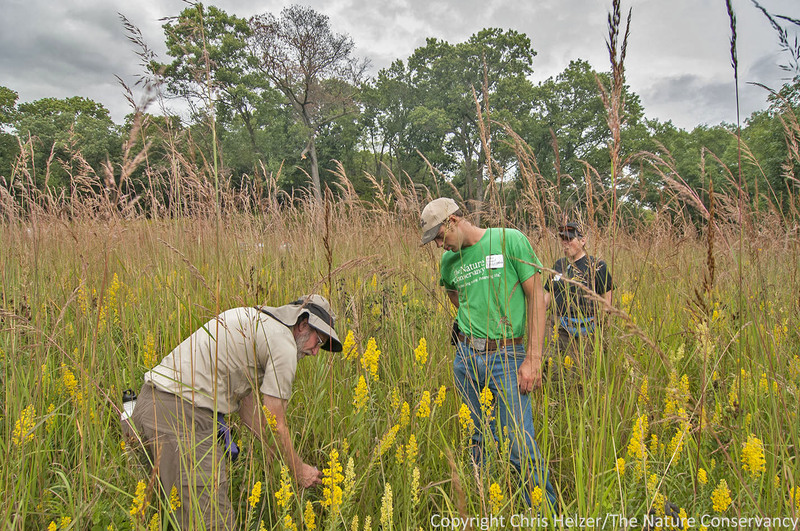 It’s wrong to assume that successful restoration or management tactics from one prairie will work in another. Instead, every prairie has its own “personality” and responds accordingly. The key to success is experimentation and adaptive management. Bill Kleiman is one of my favorite people. We have much in common: a love of prairies and restoration, a drive to learn from our mistakes and share what we learn with others, and a strong belief in the importance of conservation. We’ve both worked for The Nature Conservancy for a long time (he’s got a couple years on me) and have been co-leading the Grassland Restoration Network for the last several years. He’s also a great guy and a good friend. 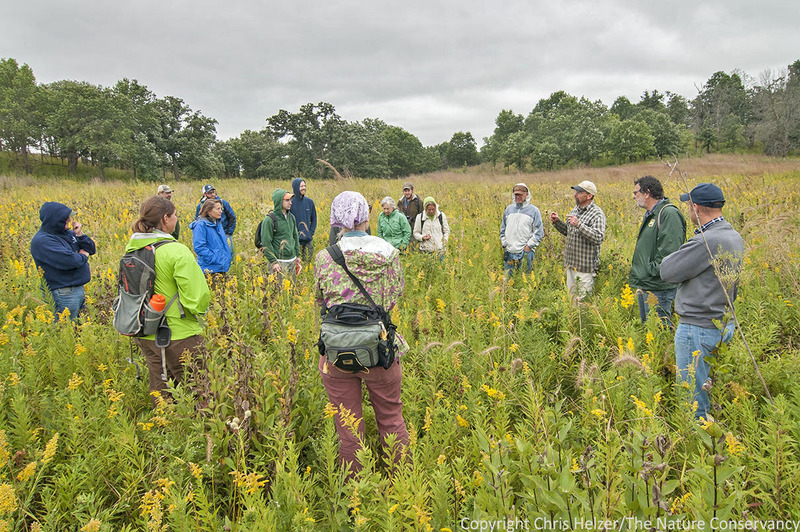 Bill Kleiman (light-colored hat) leads a tour of a restored prairie at The Nature Conservancy’s Nachusa Grasslands. 2014 Grassland Restoration Network workshop. However, despite the fact that Bill and I are friends and have a lot in common, there are some big differences between us as well. Bill is much more patient than I am, and better at the social niceties needed to build close relationships with neighbors and volunteers. I tend to say what I think – sometimes inappropriately. Bill is not shy about expressing his opinion, but does it less frequently, and usually with kindness and self-deprecation. 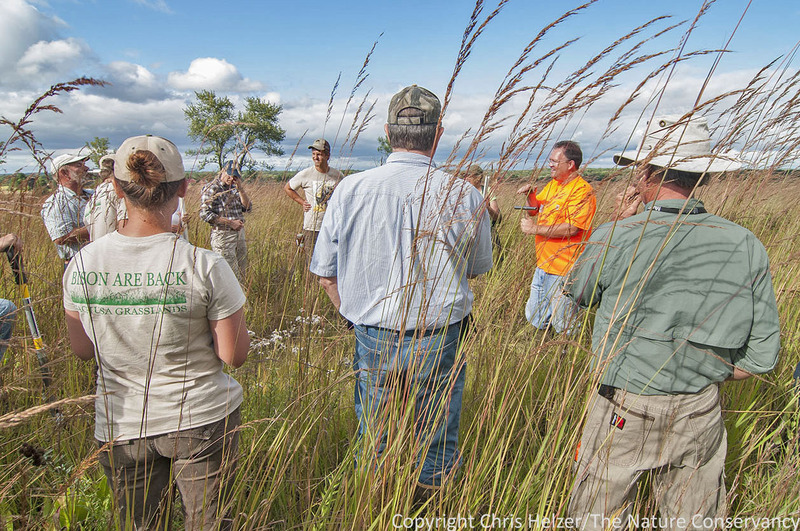 Bill and I both manage grasslands for The Nature Conservancy, but just as there are differences between us as people, there are also some stark differences between our sites and the approaches we take toward prairie restoration and management. Bill’s site, TNC’s Nachusa Grasslands, is located in rolling hills about two hours west of Chicago, Illinois. My Platte River Prairies are on mostly flat alluvial (river-formed) soils in south-central Nebraska. As a result, the soils, topography and climate vary greatly between the two sites. Moreover, our sites each have unique land use histories, invasive species legacies, and social and cultural contexts. Bill again, talking to the same tour group, with Nachusa Grasslands’ undulating topography in the background. I was thinking about all of this last month as our Platte River Prairies crew traveled to Nachusa Grasslands where Bill and his team were hosting this year’s annual Grassland Restoration Network workshop. It was fascinating to compare the land management and restoration strategies we each use, especially knowing that both of us have diligently tested and refined our methods to meet the individual challenges of our respective sites. Below are some of the similarities and differences between our approaches. However, while we both broadcast seeds, Bill has found that successful prairie plantings at Nachusa require much heavier seeding rates (around 50 bulk pounds of seed per acre) than we use along the Platte River (8-10 bulk pounds). Bill’s seed mixes include lots of seed from wildflowers, sedges, and “subdominant” grasses such as little bluestem, prairie dropseed, and sideoats grama, but almost no seed from more dominant grasses such as big bluestem and indiangrass. In our Platte River Prairies seed mixtures, dominant grasses make up about half of the weight of the mixture. James Trager (Shaw Nature Reserve) and Nelson Winkel (TNC Platte River Prairies) look over a restored prairie at Nachusa Grasslands. This prairie was relatively unique in that it had a fair amount of indiangrass in it. Most of the seed mixtures have none, or very little, seed from big grasses such as indiangrass and big bluestem. Both Bill and I have experimented with many variations of these seed mixtures and have settled on these broad recipes as appropriate for our respective sites. Though we do things differently, we both end up with very diverse prairies that meet our objectives. When Bill uses lighter seeding rates, his new prairies get swamped out by invasive species before native plants become well established. He’s also found that adding dominant grasses to the initial seed mix leads to plant communities that become overly grassy and not very diverse. In contrast, using lighter seeding rates on the Platte allows us to plant more acres per year with the same seed harvest effort, and while it takes longer for our plantings to establish, they still end up being very diverse. As our plantings mature, fire and grazing management helps suppress the dominance of big bluestem and indiangrass and maintain high plant diversity. Weed control strategies for new plantings also vary greatly between Nachusa Grasslands and the Platte River Prairies. At Nachusa, Bill and his crew walk every inch of new plantings multiple times each year until the native plant community is well established. They remove (by pulling or spraying) every invasive plant they find – focusing mostly on perennial legumes such as birds foot trefoil, crown vetch, and sweet clover. Once the native community is established, they can relax a little, but they still watch each site very closely. In some cases, they’ve not been able to keep up with the pressure from invasive plants and they’ve made the difficult decision to just give up and start over, rather than fighting a losing battle for years. 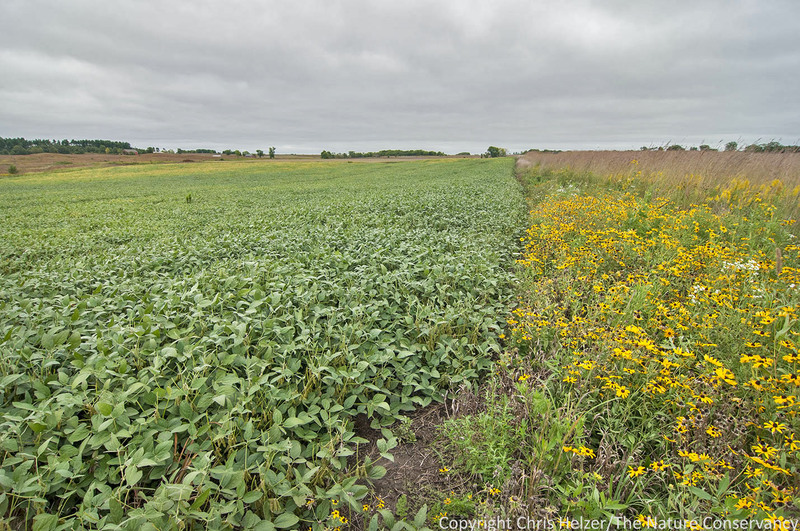 The soybean field on the left is a former restored prairie at Nachusa Grasslands that never established as Bill hoped, so he and his crew made the decision to start over. After it is farmed for a few years, they’ll try again. While it’s a lot of work to start over, it’s less work than many years of fighting weeds and never winning. Our weed control on the Platte River Prairies looks much different. We don’t really have problems with perennial legumes or other non-native forbs. In fact, we pretty much ignore sweet clover, and most other “weeds” during the establishment phase of a new prairie are annuals such as foxtail, marestail, and annual sunflower that just fade away as perennial prairie plants take over. Our major fears have to do with perennial invasive grasses, such as smooth brome and Kentucky bluegrass, and we deal with those mainly by suppressing them with fire and grazing management. We also worry about deciduous trees, such as Siberian elms, that we have to control with herbicides because fire and grazing don’t do the job. However, during the first few years of establishment, while Bill and his crew are painstakingly patrolling their sites, we can mostly ignore our new plantings – except for an occasional prescribed burn to limit the buildup of thatch. A third difference between our sites has to do with overseeding. In both remnant (never plowed) and restored prairies, we occasionally want to add missing plant species. 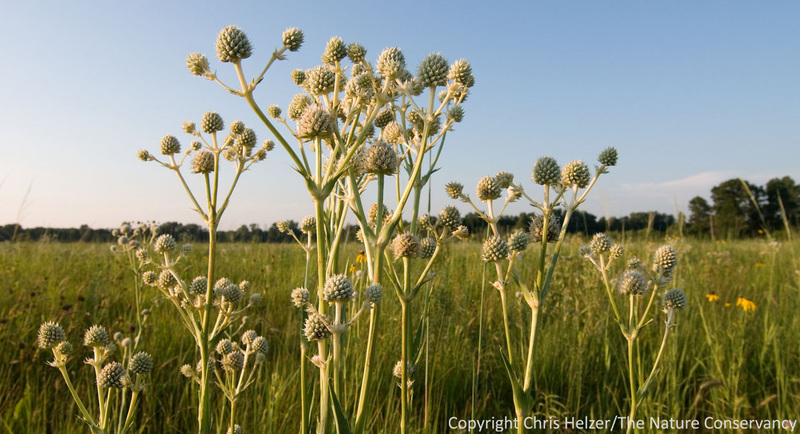 At Nachusa, they just burn the prairie and throw the seed out on the bare ground – and it works! In our drier Platte River Prairies, we’ve not had very much luck with that strategy. Using grazing to weaken the dominant grasses seems to help us get better establishment of new plants because it suppresses competition for moisture and other resources. Bill’s crew doesn’t seem to have to worry about that – even in sites with lots of grass. Bill (left) oversees some “data collection” during this year’s Grassland Restoration Network, which was done to help tour participants evaluate an overseeding project. Becky and Hank Hartman (volunteer stewards) have used repeated overseeding to transform an area from exclusively grasses to one with very nice wildflower diversity. Bill and I have done extensive experimentation to come up with effective prairie restoration and management strategies at our respective sites, and we continue to adapt as we go along. We can learn from each others’ experiences, but there is also much that doesn’t translate well between sites. Some of that is due to the distance between Nachusa and the Platte, and the corresponding differences in climate and soils. However, even prairies that are much closer together can respond very differently to management and restoration tactics. Soil types, seed banks, topography, management history, landscape context, and many other factors combine to give every prairie it’s own “personality”. 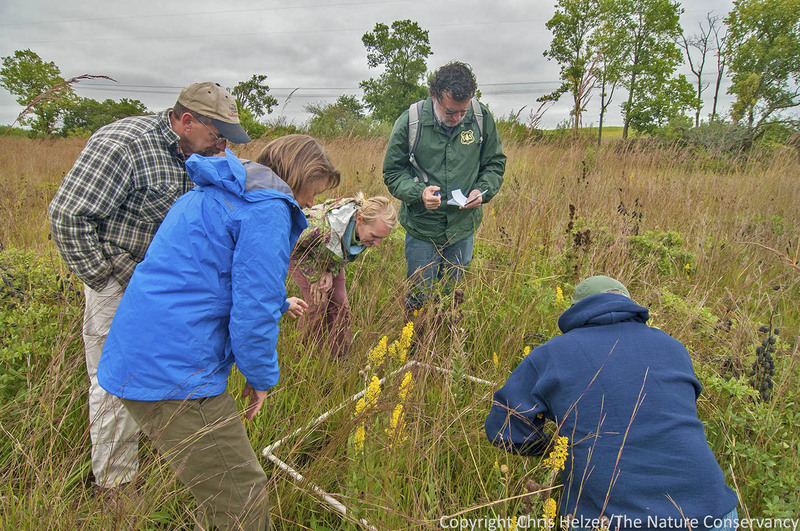 Above all, beware of anyone who tells you’ve they’ve figured out the magic formula for how to manage or restore prairies. It’s just not possible. Instead, take a look at what others do, learn from their experiences, and then experiment with a variety of techniques at your own site. It won’t take long to figure out what moves your prairie in the direction you want. Fortunately, unlike Bill (I’m kidding!) 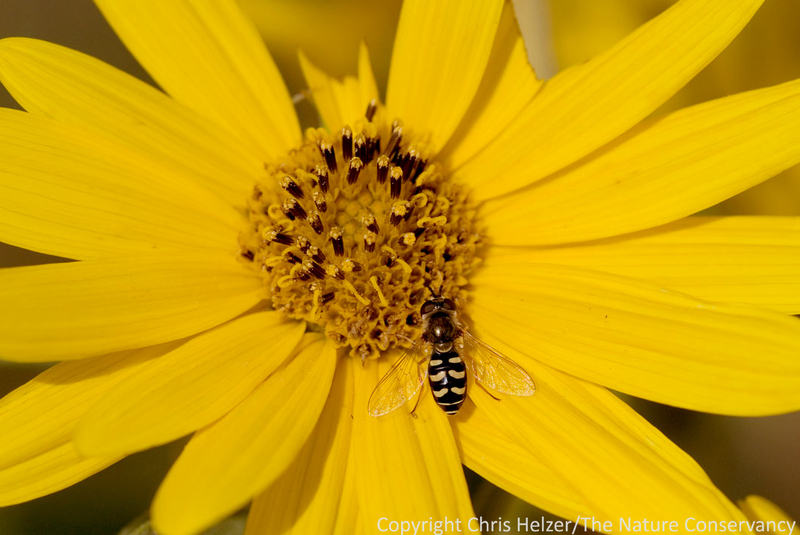 prairies are pretty forgiving, so if you try something and it doesn’t work, they aren’t likely to hold a grudge.